Dr. David Akinpelu is an accomplished man. He’s earned four degrees, is both a doctor and a lawyer, and as proprietor of his own private hospital in Lagos, he’s also an entrepreneur. Accion partner Accion Microfinance Bank (Accion MfB) has been a key part of his business’s success. He first heard of Accion MfB a decade ago, through a friend, and received his first loan, in the amount of 500,000 naira (approximately US $1,400) in 2009. Over the following years, he has built up his business and his creditworthiness, to the point that his most recent loan was ten times more than his first. When asked how he’s spent that money, he smiles and gestures at the room around him. 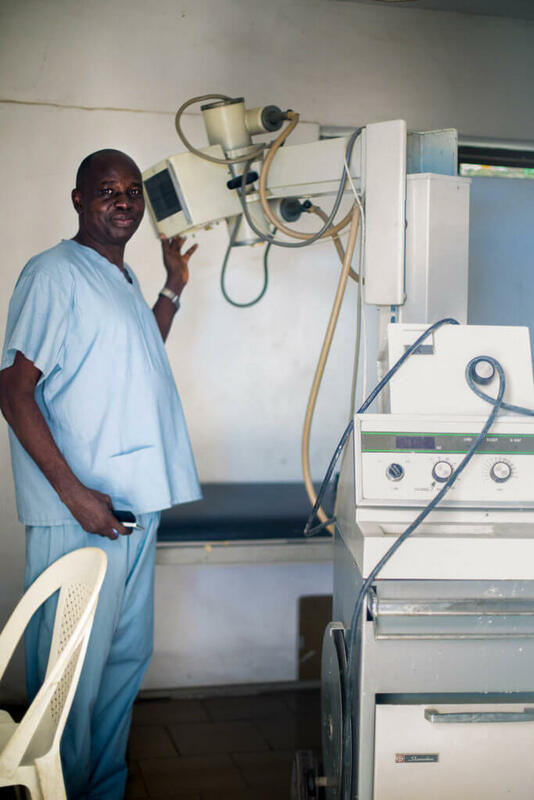 “We’ve bought equipment and machines, we changed our ward, we changed the look of the hospital and the reception area, we bought brand new beds from America, we installed air conditioning, we got a new X-ray machine,” he says. Leading a tour of the facility, he points out clean new gurneys and mattresses, and equipment he’s purchased. A father of four, Dr. Akinpelu is committed to sharing his success with the community around him. “I’m a community man,” he says. “Many people see this hospital as their own community hospital. If I see someone really can’t afford something, then I also sometimes do things free of charge to help them,” he adds. “When you improve your business, it will improve every other aspect of your life. When Accion helps me improve my business, they improve my life,” says Dr. Akinpelu. There’s even a ripple effect that goes beyond just Dr. Akinpelu. Every vulnerable patient that he helps — even when they can’t afford to pay — has their life enhanced. So, by advancing his business, he hasn’t just improved his own life, he’s benefited his whole community.